Sit Down As a Family & Watch the New VeggieTales DVD! My side of the family has a tradition for generations now to have Popcorn Family Night every Sunday night. As long as I can remember, my mom would make HUGE bowls of popcorn (imagine enough for the 10 people in my family!) and we would sit down as a family and watch a family friendly movie! It started with my dad's parents and his family and I am doing it now with my family! That is three generations of Popcorn Sundays!! One thing I have learned doing a Family Popcorn and Movie Night in our family is there is definitely a lack of family friendly and wholesome movies out these days! It seems like even the "kid friendly" movies have bad words, violence, or things that I don't want my very impressionable son (who copies EVERYTHING!!) to watch! That is why when I need a good movie with a great message and fun characters, I turn to VeggieTales! They always have great selection of movies to choose from and my son absolutely LOVES every single one he has watched! When he saw this newest VeggieTales movie, The Penniless Princess, come in the mail, he couldn't WAIT to watch it on Sunday night! And when he did, he LOVED it! He wanted to watch it over and over and he definitely learned the lesson from Sarah Crew of not putting worth in material things but only in what God sees in the way we act! The Penniless Princess—God’s Little Girl is the heart-warming story based on the children’s book A Little Princess by Frances Hodgson Burnett. The story, featuring plenty of engaging and fun music fit for families, including the all-new Silly Song “Best Friends Forever” and the featured song “No Matter What,” helps to teach an important lesson about knowing your own true worth and trusting God, no matter what happens in life. Other bonus feature include a special tour of London with the popular French Peas characters, a hilarious look at the history of the Teddy Bear, a discussion guide for parents, and behind-the-scenes clips. I also received a super cute and inspirational devotion book for girls but I think it is great for all kids. My son really enjoys reading the devotions each day as a family and I love that they are short and aimed to keep the attention of children while teaching a great lesson everyday! It is great way to study God's Word as a family! The Daystarter devos for girls help parents begin every morning with the wit of VeggieTales and wisdom from the Word of God! It Includes 365 daily thoughts, a prayer, and a verse for kids to start their day out right! So if you are looking for a great movie to watch as a family or a way to study God's Word as a family, then check out the new The Penniless Princess VeggieTales movie and Daystarter Devotion Book! 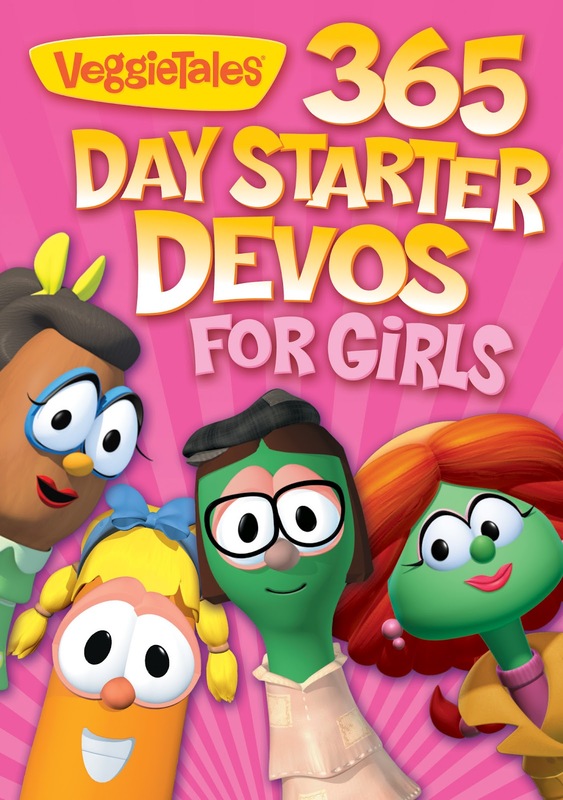 Buy It: You can pre-order The Penniless Princess from the VeggieTales online store and the Daystarters Devo for Girls book for $6.95 from the VeggieTales store. Win It: VeggieTales is generously offering (1) The Penniless Princess DVD to a lucky winner! sorry did not leave my link in the entry!